I love the use of fabric in this collage. I also checked out your website, so nicely done - good job. My favorite thing about your blog are the photograghs. Nice to hear you are feeling better and back at Illustration Friday! I like all the tactile elements here alot. Great work! Nice Work! Lovely design!! You might not believe this, but I am the designer of that little heart shaped embellishment you used! I developed the whole Architexture™ line. So excited to see it branching out in the world of illustration and collage! Are you an avid scrapbooker? Thanks to everyone for the kind comments!! melba - I used paper, actually, tore the edges to make the I. Most...actually...all of the tactile elements are scrapbooking supplies. m.b. - I've been doing paper arts for over 15 years, 10 of which has involved scrapbooking. I got my first SLR camera in 1993 so photography became one of my hobbies. 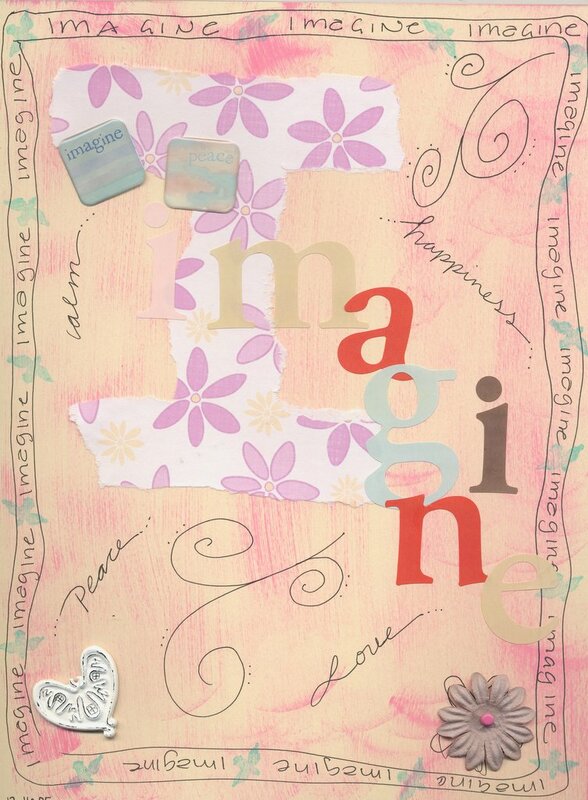 In 1995, scrapbooking entered my realm of paper crafts and is still a big passion. Now with digital photography, I take more photos than ever and try to scrapbook as many pages as my creative energy can muster. I *LOVE* all of the Architexture elements!! Another one of my passions is architecture so your elements show up in my sb and collage pages very often. It's great how a lot of paths are crossing via IF.